Thomas Lowrie Book Signing – Andres Fragoso, Jr. 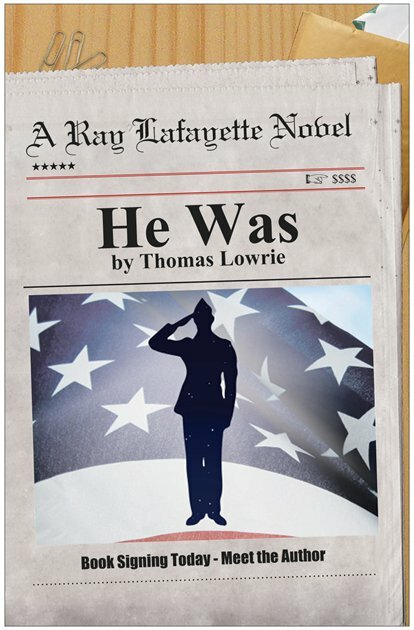 In the book, He Was by Thomas Lowrie, Thomas tells us a story of him having one of those days, or one of those weeks. He asks if you have. If not you’re missing out. The book is written in first person as if he himself went back in time and became someone else. The back cover of the book is very informative. Check out the book. It’s a good read especially if your waiting to be deployed, or if you’re waiting on your next mission. There’s a lot of military waiting time. This is a great way of passing the time. It will change your perspective of military life in the 1940’s.